Welcome to the first Employment Tribunal update of 2019! A new year inevitably brings promises of fresh starts and ambitious resolutions. If your plan for 2019 involves keeping up to date with changes in the world of employment law, we can help. We have summarised some of the latest cases for you below. As is often the case, it is not a clean slate for employment law and our update covers a number of topics that were hitting the headlines before the new year was upon us. For full case summaries, you can sign up to receive our employment law update by email here. First up, the ongoing saga of employment status in the ‘gig economy’. This time judgements from the Employment Appeal Tribunal (‘EAT’) and the Court of Appeal in relation to Addison Lee and Uber. There is a very clear trend in these cases; drivers for both Companies have again been held to be workers rather than self-employed. This is despite carefully drafted contractual documentation suggesting otherwise. Uber have already been given leave to appeal so it does not look like this issue is going away – one to watch for 2019. On the face of it, a surprising decision in Ball v First Essex Buses – a bus driver who was dismissed for failing a drugs test was held to have been treated unfairly. However, look behind the headline and this is a reminder of the long-standing principles of a fair dismissal. The employer did not follow their own procedure or give adequate consideration to the employee’s explanation for the failed test or his own subsequent negative test. In cases of this nature, it is easy to jump to conclusions but doing so risks unfair results. 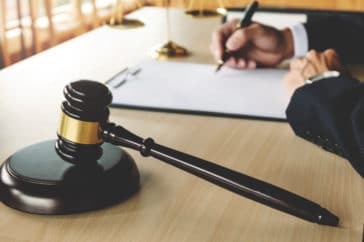 Even where the evidence is persuasive, a thorough investigation and consideration of all of the circumstances of the case is still required to ensure the decision to dismiss is considered a reasonable one. British Airways v Pinaud is a case that considers the rights of part-time employees which have been protected since 2000. Ms Pinaud was one of around 600 BA employees required to be available to work 53.5% of full-time hours but only receiving 50% of full-time pay. She claimed this amounted to discrimination on the grounds of part-time status and the Court of Appeal agreed. Whether this can be justified remains to be seen but this case is a timely reminder to ensure that part-time employees are not inadvertently treated less favourably. The case of George v London Borough of Brent is a reminder of the well-established right to a trial period for employees accepting a suitable alternative role in a redundancy situation. In this case, the EAT went further and stated that the failure to offer a trial period could also render the dismissal unfair, although they have remitted that decision back to an employment tribunal. For more FAQ’s on the redundancy process, check out our video with Tim, Director of Employment and Legal Affairs at Vista. Holiday pay is still subject to discussion and disagreement, this time by the Court of Justice of the European Union (‘CJEU’). The decision in Kreuziger v Berlin focused on payment in lieu of annual leave at the end of employment. The CJEU held that to avoid liability for a payment in lieu of outstanding annual leave, the employer must give the employee the opportunity to take the leave. This aspect of the decision will have limited impact in the UK but the decision could have implications in relation to carry-over of annual leave. The CJEU held that one of the Claimants was entitled to pay in lieu of annual leave from a previous leave year, seemingly extending the right to carry over beyond those that are prevented from taking the leave in the relevant year and shifting the responsibility for taking leave to the employer. It is unlikely that we will make it through 2019 without more litigation on this topic so watch this space! Finally, a new development to keep our eyes on – an Employment Tribunal are due to decide whether ‘ethical veganism’ is a philosophical belief protected by the Equality Act 2010. Although not a binding decision, this will be an interesting judgement and may warrant employers reviewing their Dignity at Work policies to ensure they reflect the full extent of what can be considered a philosophical belief.